Stage 2 Performance Braking System for the 70-78 Z Cars! Stage 2 Performance Braking System for the FRONT 79-83 ZX or Datsun 510 with ZX struts. Need bigger and better? See our stage 3 Kit. Our popular but simple and cost effective stage 1 disc brake conversion kit. Rebuilt Calipers, New Pads, New Rotors. Brackets Hardware. Retains your E-Brake! 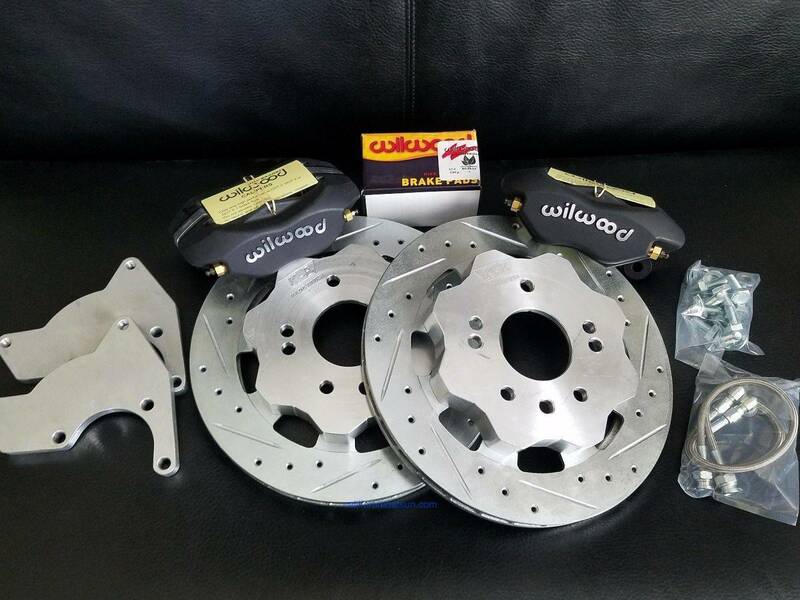 These fit on 1970-1978 Datsun S30 Z with the Nissan Maxima Calipers to be used with the 300ZX rotors.